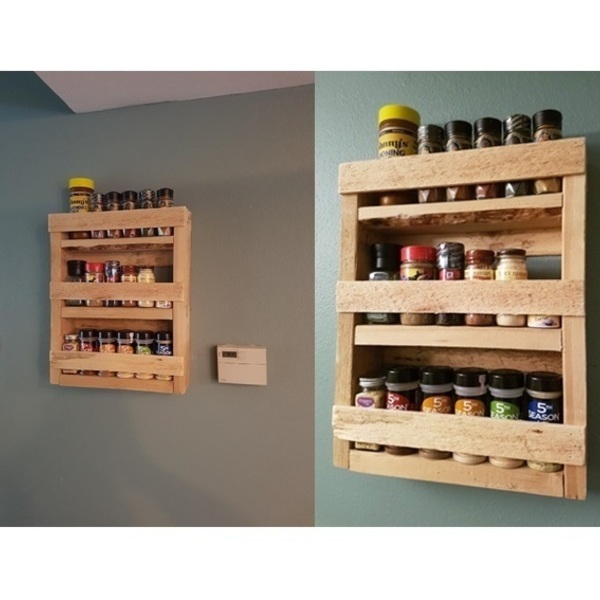 Had all my spices stuck in a drawer fighting for space with oven mitts and hot pads so I ran out in the garage and threw this together. Happy coincidence, it fit all my spices perfectly with no spare space. Handy! Looks really nice, too!